Rainbow is an exciting addition to our 2000 piece category. 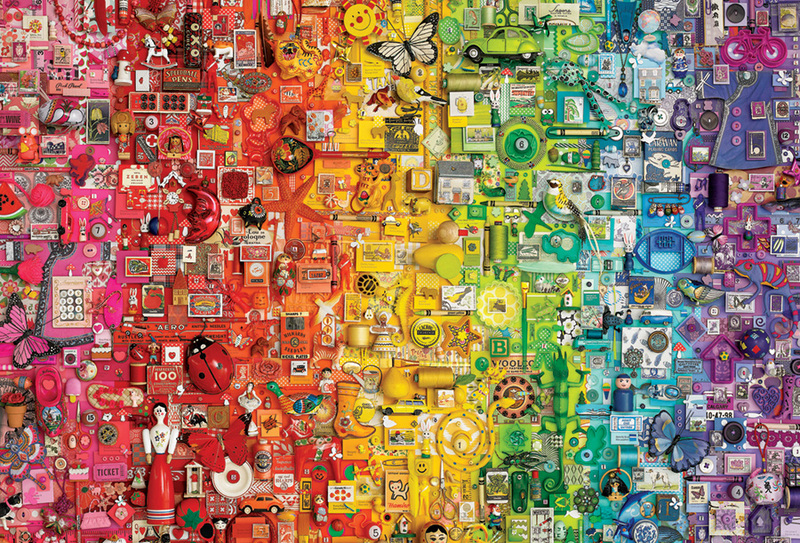 It is a culmination of the Rainbow Collection series of seven 1000 piece puzzles that align together to create one seamless horizontal collage. Now, puzlzers can enjoy all the colours of the rainbow in one expansive puzzle. If you enjoy this collage, be sure to look for other great puzzles from Victoria, BC artist, Shelley Davies. Item # 89003 Weight 2.50 lbs.